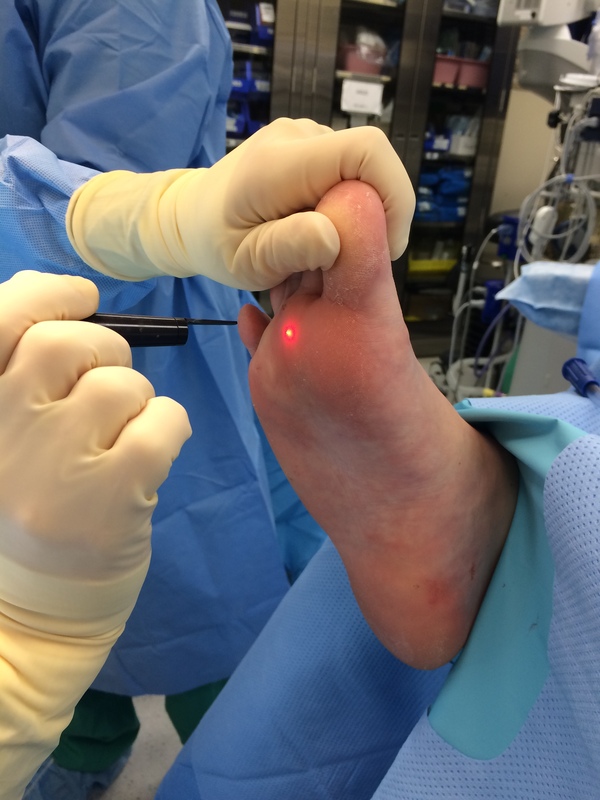 Laser surgery is available in our office for excision/removal of warts to the feet. Laser excision may be scheduled after more conservative treatments have failed or as the first line of treatment. Laser excision is the quickest and most effective way of resolving warts. This procedure is done with local anesthesia (numbing injections) and only takes about five minutes. Patients go home with a gauze dressing and are required to change the dressing daily. Follow up visits are scheduled weekly to ensure proper healing.